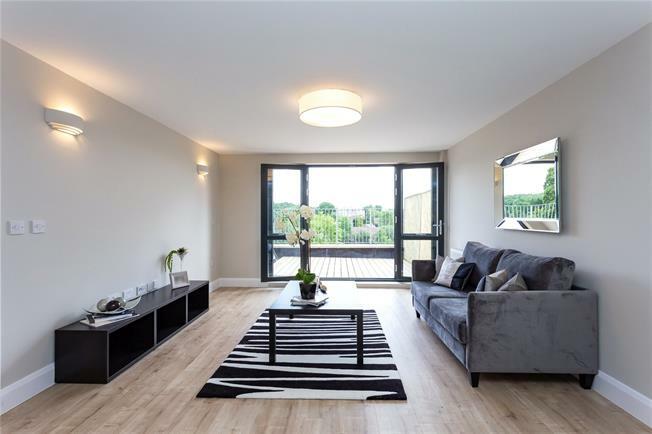 2 Bedroom Flat For Sale in Stanmore for Offers in the region of £430,000. Last Remaining Apartments In Phase One With Help To Buy Available. Situated in the centre of Stanmore and conveniently located for all amenities that the area has to offer is Buckingham House, a new and existing development of 1, 2 & 3-Bedroom apartments. The scheme is ideal for young professionals commuting to central London with Stanmore's Jubilee line station within a few minutes walk. Each apartment has a fully fitted Kitchen with integrated appliances, fully tiled Bathrooms and Ensuites, flooring throughout and bespoke built-in wardrobe to bedrooms. - Contemporary Bathrooms and Ensuites with white sanitary ware, Porcelain wall and floor tiles, Stainless steel/chrome finished heated towel rails, White vitrified enamel wall mounted WC with soft close seat and dual push button flush, mechanical extract ventilation, thermostatic mixer shower, designer taps and accessories. To arrange an appointment to view or for further information, please contact Preston Bennett New Homes on 0208 954 8626.